Eazy-E’s daughter, Erin Bria Wright, recently spoke with rolling out to share her thoughts on the recently released N.W.A biopic, Straight Outta Compton. Speaking on the portrayal of her father by actor Jason Mitchell, Erin Wright says that she feels no one could have played the role better. Wright also spoke on the lasting legacy of the film. 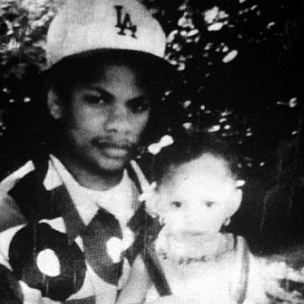 Erin, who was just four-years-old when her father passed away, also opened up about what her mother has told her regarding Eazy-E’s relationship with the other N.W.A members in his final days. 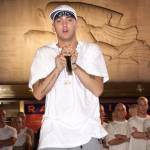 Elsewhere in the conversation, Erin spoke on a documentary that herself, her mother and her sister are working on that is set to detail Eazy-E’s life and in particular, the scandal surrounding the rapper’s death. To read the full interview, please visit rolling out.